Enhancing, teaching, and encouraging the religious life of our members is the core mission of Ahavas Israel. Our Religious Life Committee creates a wide variety of religious programming that involves the Congregation in active participation and facilitates religious practices of the Synagogue. Shabbat morning, with a “Schmooze 'n Schmear” breakfast, services with a monthly speaker series, and a Torah study group after Kiddush has something for everyone - social, educational, religious, and food! Other Religious Life social activities help us celebrate Shabbat dinners and holidays parties together with our congregational friends. Our activities committee plans movie nights, trips out of town, and other social get-togethers for adults, families, and youth. Ahavas Israel encourages everyone to engage in study of the texts and traditions of our people. 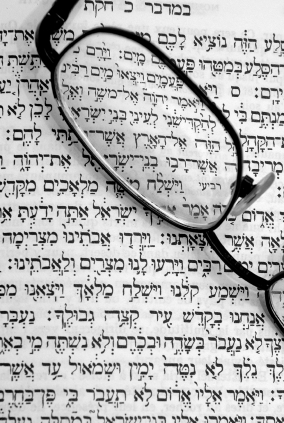 We offer a variety of study opportunities, including several weekly Torah study groups, and classes on Jewish subjects taught by our Rabbi and other community members. We participate in a community Scholar-In-Residence weekend along with Temple Emanuel and the Jewish Federation, featuring an expert in a field of Jewish thought for a weekend of study and discussion. Through the generosity of the Israel and Belle Shapiro Scholarship Fund, we are able to help adults participate in retreats and other programs of Jewish education. to provide educational opportunities for Grand Rapids’ non-Jewish community. Rabbi David J.B. Krishef grew up in Minneapolis, Minnesota, and graduated from the University of Minnesota with a degree in Hebrew and Jewish Studies. Following a two year stint as a program director at the University of Minnesota Hillel Foundation (serving students at Carleton and Macalester colleges), he entered the Jewish Theological Seminary of America, where he received ordination in 1994. Each link below leads to a page with multiple questions and answers on the listed topic.